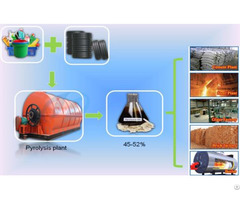 Waste tyre to oil recycling process pyrolysis plant the obtain thing as follows: 45%-55% fuel oil, 10%-15% steel wire, 30%-35% carbon black and 8%-10% flammable gas. 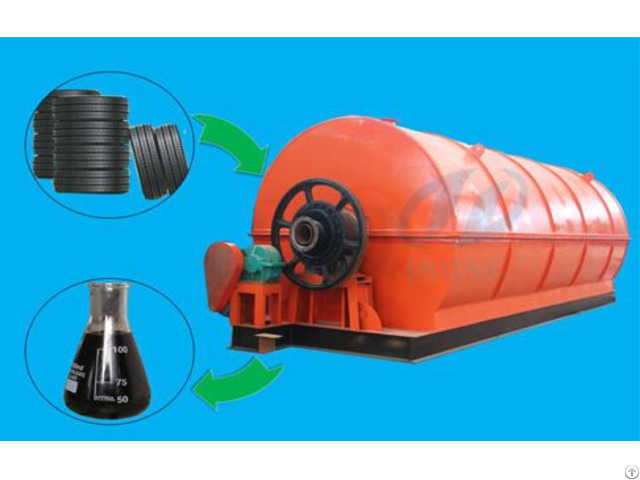 You can get diesel from fuel oil by distillation plant. You can get a very high profit by disposing these wastes, and also it's helpful for improving the local environment, avoid garbage pollution. 1. One week installation:no need to build foundation thus shorten the construction period, 4th and 5th machine installation period is one month, 6th machine install only need one week. Also easy to move. 2. Service life: Special design inside the reactor to avoid direct heating, so machine service life prolong to 3-5 times and the heating energy can realize 100% utilization. 3. De-dusting system: "Four in one" de-dusting system can reach European standard, 100% environmental friendly.also no need building the water pool, saving cement, brick cost, saving time. A. 36 meters cooling condenser pipe, inner each pipe have 4 small pipe, cooling performance is very good. B. "Four in one" condensing systems. 1. As the fuel material used in Cement factory, glass factory, ceramic factory, electric power factory, steel making factory, boiler factory, etc. 2. Final diesel come out from our distillation plant and deodorant & decolorant can be used in diesel generator. 3. 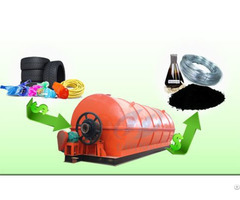 Used in diesel powered cars, such as vans, truck, tractor, etc. 4. Use as heating oil, industrial and home. 1. Make it to briquette for fuel. 2. 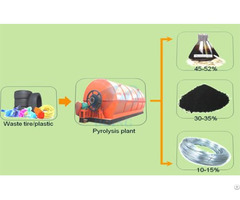 Used in rubber and painting factory after carbon black grinding to 200-4000 mesh. 1. Recycled into furnace heating reactor instead of coal/wood/oil/natural gas.